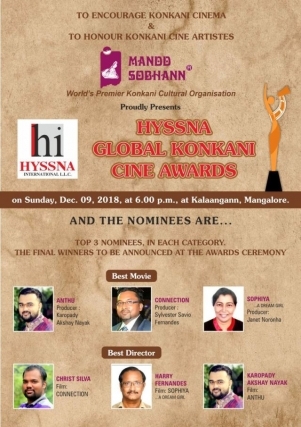 Mangaluru Nov 4: Mandd Sobhann announced the nominees for the first Hyssna Global Cine Awards which will be held on December 9 at Kalaangann in city. 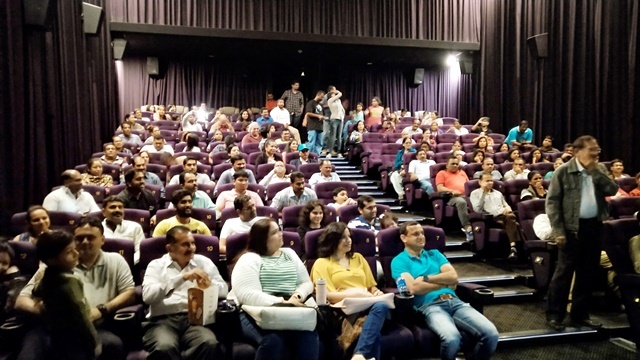 "Awards will be given in 9 categories like best movie, best director, best actor (Male), best actor (Female), best supporting actor (Male), best supporting actor (female) and best screenplay/script best music (Songs/Background),” he added. 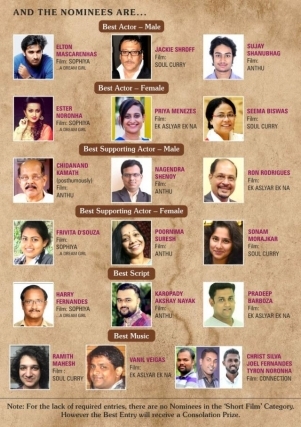 "The panel of eminent judges shortlisted 3 top nominees in each of the 8 categories. 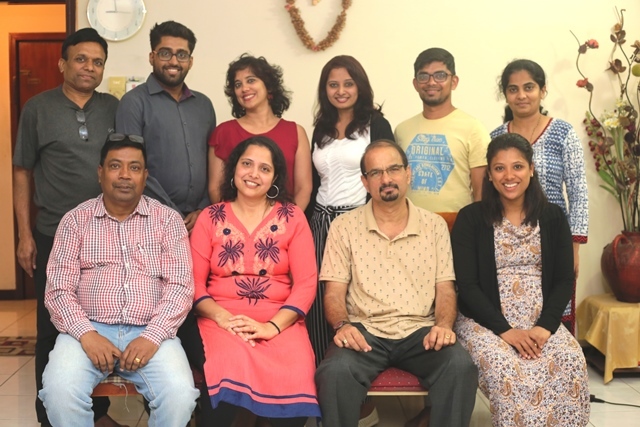 Dr Richard Castelino, Jeethendra Shikerker (Goa), Rajesh Fernandes (Honnavar), Dr Rajay Pawar (Goa), John M Permannur (Mangaluru), B Charan Kumar and Dolwin Mendonca were among the panel of judges,” said Eric Ozario. “The winners in each category will be declared at the award ceremony on December 9. 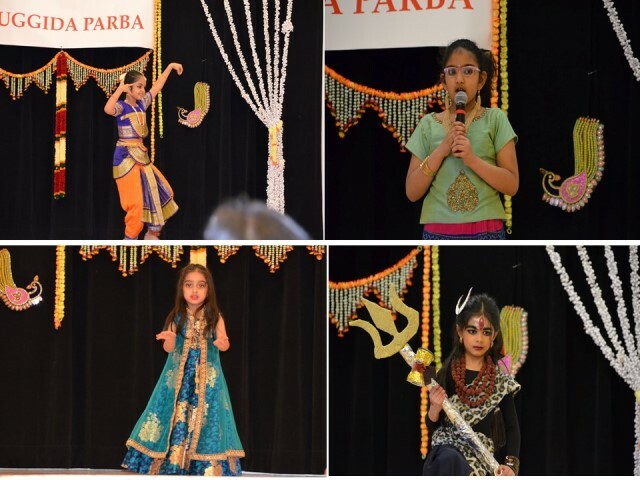 The award will consist of title, award and cash prize of Rs 25,000 each,”said Eric Ozario. Best Director: Christ Silva (Connection), Harry Fernandes (Sophiya) and Karopady Akshay Nayak (Anthu). Mandd Sobhann president Louis Pinto, coordinator Stany Alvares, treasurer Arun Raj Rodrigues and PRO Vithori Karkal were present in the press meet.